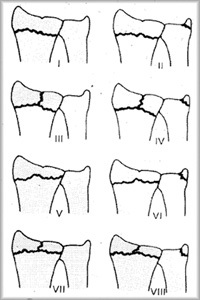 #1- Can you name the fracture classification? #2- How would you immobilize the patient awaiting surgical stabilization? #3- Does this injury need surgical stabilization? #3- What is the most likely prognosis for this injury? 4. Post-Traumatic Arthritis and possibly neurologic sequelae.